A few short days ago we brought you Our Top 8 Smells in All of Walt Disney World and to our surprise it was an incredibly well received article. So, today we're sharing something quite similar but also a little different and bringing you Our Top 5 Strange Sounds of the Disney Parks. Without a doubt, the things you hear are equally as important as what you see in the parks and resorts at Disney. They're so unique at times that it's rather difficult to picture places of the park without iconic sounds we've learned to love and expect each and every trip. From the outside looking in it's a rather strange concept, but to those who have visited the parks, you likely have a favorite "sound" of Disney and every time you hear it anywhere else you're instantly taken back to that place in the park or that moment you enjoyed at one point. With that being said, here are a few of the more strange, but distinctly recognizable, sounds that you can find on Disney property. If you know this sound it really goes without stating how iconic of a noise it is for Disney fans. As the Monorail pulls into the station, the doors almost synchronize and basically all open at the same time. It's not quite as iconic of a sound as it once was but the subtle click and sweeping motion of the doors opening and closing is something every Disney parks fan knows and recognizes as distinctly a "Monorail noise." It sounds so crazy but it's a sound you learn to love because it typically means you're on your way to the parks. I have no idea why but for some reason or another it's a noise that sticks with you and that you can only really hear at Walt Disney World. From the Patrick Warburton intro to the simple soundtrack of the queue, Soarin' was and is an instant classic from it's first debut. However, the noise I'm talking about today is actually neither of those. Instead, it's a far simpler noise and one that Disney likely never even thought much about. In the original iteration of Soarin' (before the new film), at the end of the attraction as the lights came on as your hang glider returned to the ground there was a slight delay before the seatbelts released. Of course, as soon as you land every guest is logically trying to exit the attraction. Eventually all of the seatbelt locks were released and everyone hit the button within about one second of each other. For some reason it created a very recognizable "swarm" of clicks and slight rattles as the belts released and everyone left their ride vehicle. It seems so incredibly strange but it's a noise you don't really forget. Unfortunately, the sound seems to have gone away after the last major refurbishment, but it has remained somewhat memorable along the way. As a slightly more recognizable noise, the train whistle of the Magic Kingdom is one that has a way of taking you back to a walk down Main Street, or a trip through Frontierland, or even a stroll through Storybook Circus. The train whistle is iconic for so many reasons. The history of the trains and Walt's personal role in involving them in the parks coupled with the ever present whistle and clacking of the wheels as the train takes guests around the park has created a distinctly recognizable noise in the Magic Kingdom. No matter who you are or where you're from, after a day in the Magic Kingdom a steam engine and that whistle will never just be the sound of a whistle. Instead, it'll take you back to times with family and friends time anytime again. 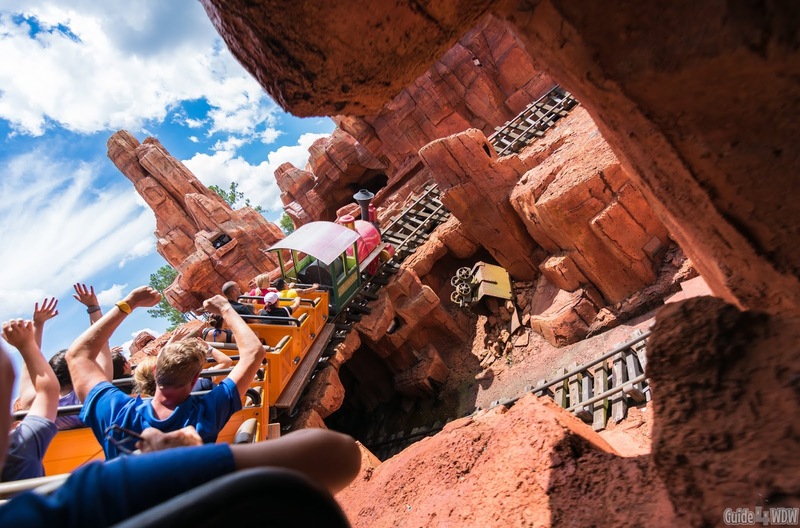 As one of the 3 true Disney mountains, Thunder Mountain is a lasting and vastly popular part of the Magic Kingdom experience. For many, it is a "must-do" attraction of every single trip into the park and one that they've enjoyed for years on end. The attraction itself is full of iconic noises, a distinct whistle as you barrel around the tracks, and even the clattering of the lift hills are a sensory experience. Today though, I'm talking about a slightly different noise. As you pull into the station after your ride or while waiting to board your train for the day, the cars roll into the loading area and stop with a slight screeching. Moments later, the lap bars release with a distinctly hydraulic noise and a loud clunk. Again, it's a simple noise but one you start to recognize year after year and learn to love as a result of your surroundings and what that particular noise represents. As perhaps one of my favorite noises in all the parks, the slight thumping of the PeopleMover traveling around it's classic route high above Tomorrowland is distinctly recognizable and simply brings a smile to my face. It's a noise you can hear in a video or even a live stream and for a brief moment feel like you're right there in the park. 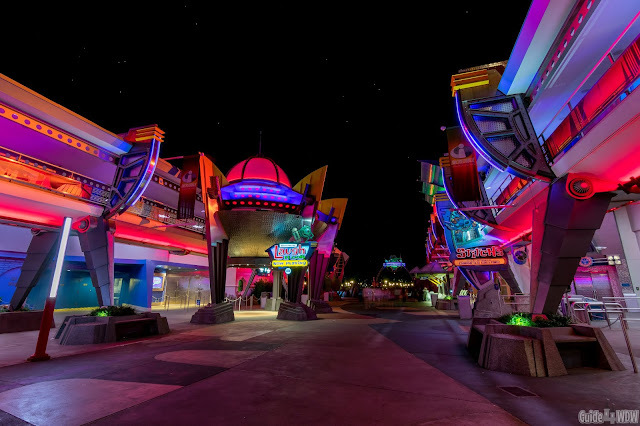 Couple that clacking of the ride vehicle sliding along the track with the linear induction thump and you have a wonderful attraction with a short wait time that so many guests enjoy day after day. Did Your Favorite Make Our List? Everyone has that favorite sound or that favorite smell from the parks. Those sensory experiences beyond sight alone really set Walt Disney World apart from all the others. Only a select few theme parks and entertainment destinations will put such an incredible effort into the little things that so many guests will completely overlook. It's a commitment to detail that very few appreciate but for those of us who return time and time again it's those little details and things to pick up on that keep us coming back year after year and trip after trip. If your favorite sound didn't make our list, be sure to share it in the comments on your favorite social media platform. 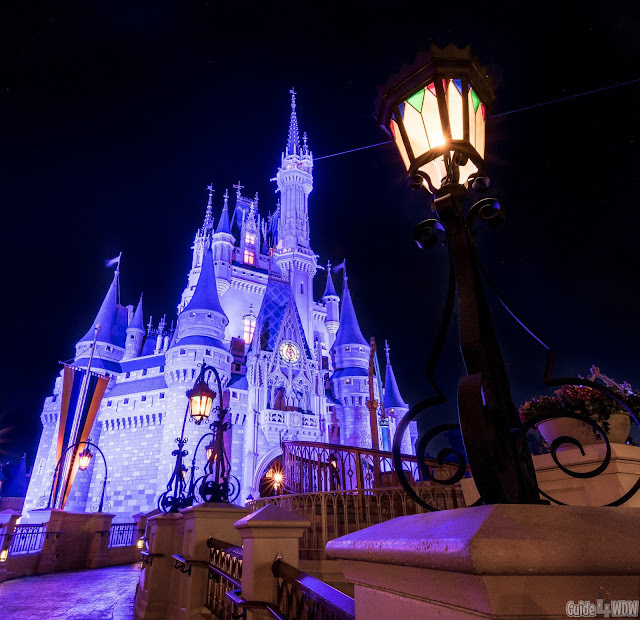 There are so many sounds in the parks that this article only touches the surface of all that there really is to hear and enjoy! Want to partner with us or for us to write for your site? Just give me a shout at guide4wdw@gmail.com! Have questions or comments about your upcoming trip, feel free to shoot me a message as well!